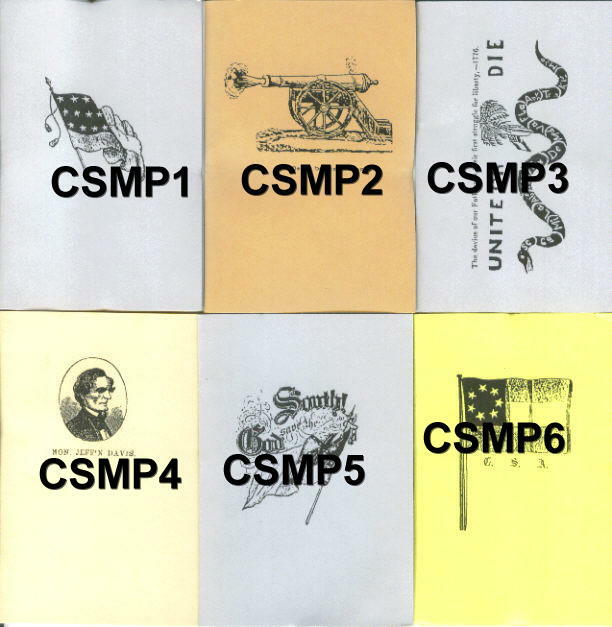 They had memo pads during the Civil War. 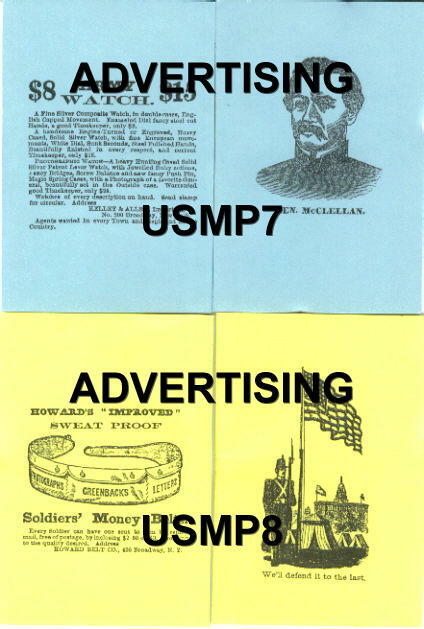 The Sutler Sales Pack lists "Vest Pocket Memorandum" among the items included. What did they look like? I haven't seen any. 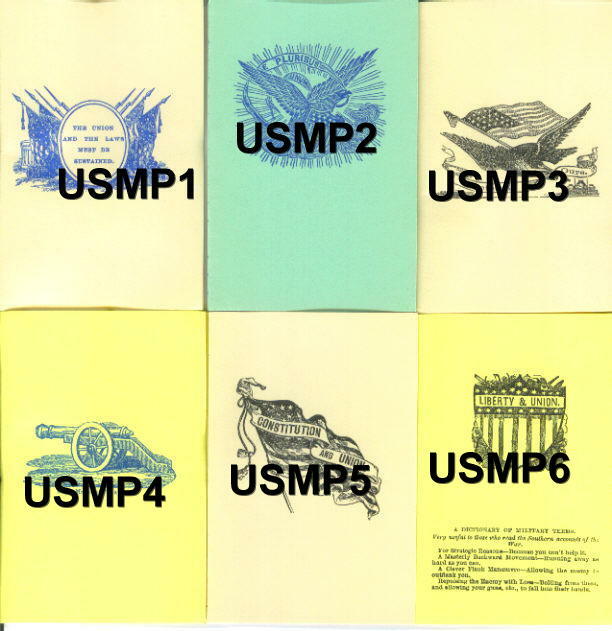 So these Vest Pocket Memorandum pads pictured below are NOT based on an historical example I've seen. Understand that before you buy them. Why did I make them up? I found myself always needing something to jot a note or a name and address in when at a reenactment. So I made myself up a few. Then a Sutler friend saw them and wanted a few for sale. High gas prices forced them out of business. So I have more than I will use. These pads are spectator friendly. They look OK. They are sized for a vest pocket (3" x 4 1/4"). They have a cardstock cover glued unto the blank pages inside which are sewn together (giving 24 pages to write on). So I've made them in the style of period booklets. 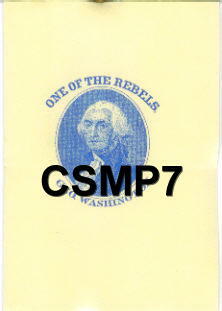 They are imprinted with patriotic designs from the covers I have. I had fun making them up, pretending I was a printer trying to get people of the time to buy them. 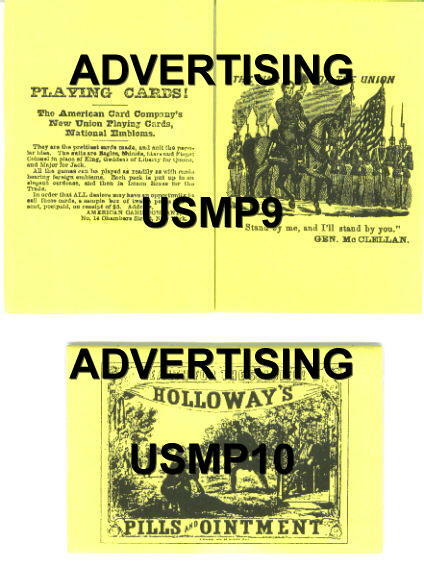 I even did a few "advertizing ones, using adds from period newspapers. PLEASE understand these are NOT based on an original that I have. But if you would enjoy having something that is period looking to jot notes in, then buy them for the fun of it. Ordering: use the Item number to order the patriotic design you want. The card stock cover color may vary (eg tan or brown, gray or tan, ivory or green, etc). IF that is going to bother you, email me and I'll give you the options. Some designs are in limited supply. 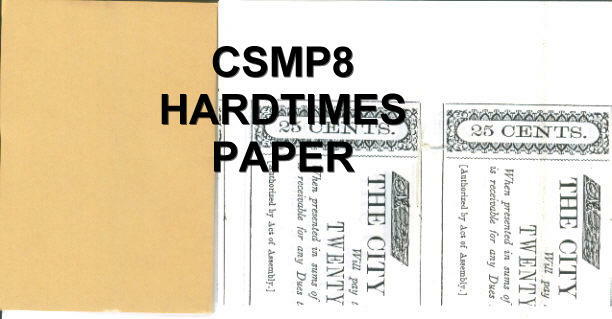 Late war, paper printed on one side was often used. This memo pad has paper with printing on one side giving you only half as many blank pages to write on.